On Friday Ms Ford took five School Council members to the opening of a brand new play area on Walford Avenue, St Georges. 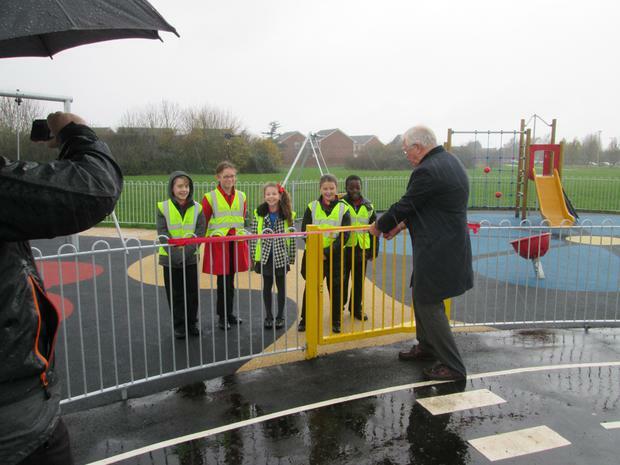 Despite it being an extremely wet day, the five pupils enjoyed being part of this special occasion when local town councilors officially opened the park to the public. The area includes plenty of equipment for children across three areas, including swings, a see-saw and a climbing frame. The pupils were thanked for their input into the development of the park which they worked on with Mrs Bryant earlier this year. Although they weren't able to enjoy the equipment on the day due to the weather, they all said they were looking forward to visiting the park with their families in the near future.